Lady Barbara JudgeLady Barbara Judge, who resigned from her position as chairwoman of the Institute of Directors on Friday. 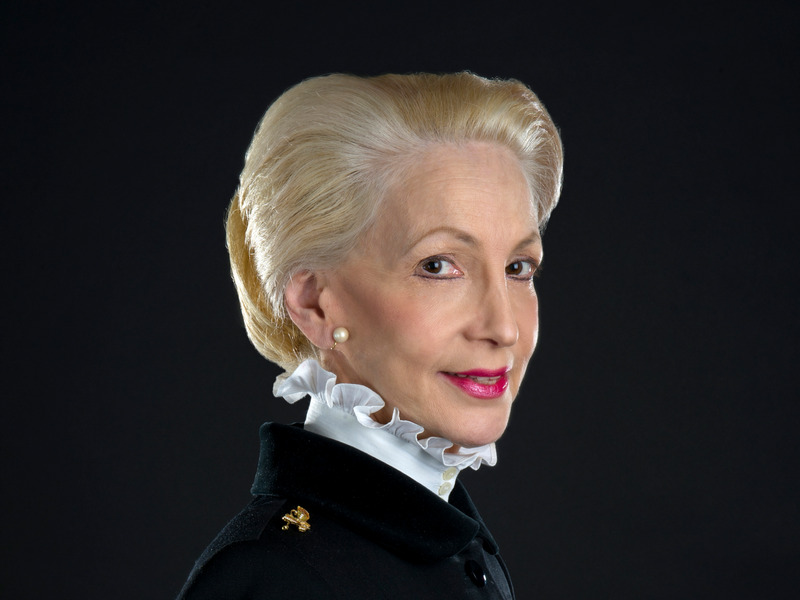 High-profile businesswoman Lady Barbara Judge resigned from her position on Friday as chairwoman of the Institute of Directors, after staff alleged she made sexist and racist remarks during her tenure. British startup SmartUp appointed Lady Judge as its chairwoman one month before the allegations were made public – and has decided it will keep her on. Two of SmartUp’s cofounders, Brent Hoberman and Frank Meehan, defended Lady Judge’s record and said no one should be found guilty on the basis of allegations alone. British education startup SmartUp has appointed Lady Barbara Judge as chairwoman, and will keep her in the post despite allegations that she made racist, sexist, and bullying comments while chair of the Institute of Directors (IoD). SmartUp appointed Lady Judge to the post in February, one month before allegations that she made sexist, racist, and bullying remarks at the IoD became public. There is no suggestion the company knew of the allegations when it appointed Lady Judge. SmartUp CEO Frank Meehan confirmed that Lady Judge would keep her position in an email to Business Insider on Monday. And during a call last week, cofounder Brent Hoberman defended Lady Judge and her record. “We started talking to her about chairing SmartUp, we took extensive references on her and found character references for somebody of giant integrity and intellect,” Hoberman said. “We know of no factual evidence to the contrary. We obviously would never condone racism and sexism in any form, but we don’t believe somebody should be [found] guilty just due to allegations. Meehan cited her “strong work” in diversity, promoting women, and her background as a civil rights lawyer. Lady Judge did not respond to a request for comment. SmartUp was cofounded by Hoberman, Meehan, and entrepreneur Henry Lane Fox. The trio raised $US5.5 million (£3.9 million) from venture capital investors last February to grow SmartUp’s online learning platform. The service provides a platform for big firms such as Aviva and Deutsche Bank to create training content for employees. Its platform focuses on gamification and interaction, so employees can learn through video, quizzes, and short bursts of text. According to Meehan, the service is growing well in Asia, with Lady Judge’s appointment intended to help boost SmartUp in Europe. The allegations against Lady Judge first surfaced in public last week when The Times reported the IoD was investigating 41 allegations over sexist and racist remarks, and bullying. In one alleged incident, Lady Judge reportedly said black people “could be aggressive” – something she denies saying. In another incident, she allegedly said: “the problem is that we have one black and we have one pregnant woman [on the IoD’s secretariat] and that is the worst combination we could possibly have.” A secret recording of some of her remarks were sent to the IoD’s council, according to The Times. Lady Judge and another board member and ally, Sir Ken Olisa, resigned from the IoD on Friday in protest at the way the IoD had handled the investigation. “I continue to strongly refute the allegations made against me and remain deeply disturbed by the gross and conspiratorial mishandling of the process which has lead the damaging circumstances in which I and the Institute are now placed,” she wrote, according to The Financial Times. Sir Ken, the first black Lord-Lieutenant of Greater London, said Lady Judge’s comments had been taken out of context, according to The Financial Times. He said Lady Judge was referring to the fact that the two employees could claim discrimination if there were any issues relating to their performance. Lady Judge had been due to give up her position as chairwoman of the IoD in May. Lady Judge is often described as the “best connected” woman in the UK, and holds multiple non-executive board positions. Born in New York, and once an aspiring actress, she trained as a lawyer before becoming the youngest commissioner of the SEC. She then worked in banking in Hong Kong, before moving with her family to London in 1994. She continued a high-flying career in the UK, becoming chair of the UK’s Atomic Energy Authority, among other roles. Alongside Brent Hoberman, the 71-year-old is also a government business ambassador. She has recently taken more of an interest in tech startups, joining the board of UK HR company Hibob in 2016, and becoming non-executive chair of publicly listed conference call firm LoopUp the same year. Hibob refused to comment on Lady Judge’s position. LoopUp did not respond to a request for comment.